August | 2013 | DEBtastic Reads! Thank you to everyone who stopped by to help shine the spotlight on Tamra Wight and her new middle grade book, Cooper & Packrat: Mystery on Pine Lake! If you missed it, you can still read the interview here. 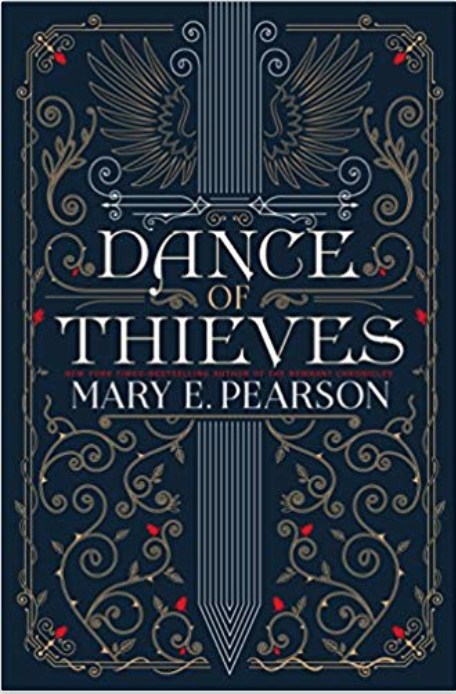 Today, I used the random number generator to help pick the lucky winner of a copy of this fun-tastic adventurous mystery. number 10: Kathy Casey! Congratulations! Please email me at just kid ink at yahoo dot com (no spaces) to confirm. I believe you included your mailing address in your comment, but I’d like to double check before sending your prize off to you! Thanks to everyone for stopping by! Stayed tuned for more interviews and give-aways and book buzz! Welcome to the Spotlight: Tamra Wight and Cooper & Packrat! I’m super thrilled to be shining the spotlight on Tamra Wight and her brand new middle grade book, Cooper & Packrat: Mystery On Pine Lake! Stay tuned below for a chance to win this fabulous book! Cooper Wilder lives on his family-run campground. He doesn’t much care for cleaning bathrooms or doing trash runs, but he loves getting out on the lake and watching the loons. With his new friend Packrat (who wears a big trench coat with pockets full of cool things), Cooper sets out to protect the nesting loons and to solve the mystery of who is trying to scare them off. A mystery filled with adventure and heart. Each chapter starts with an interesting loon fact. I fell in love with Cooper and Packrat and hope to read more adventures about them. Okay, I love everything about this book! Cooper and Packrat are fun, brave, and caring boys. I’m a huge fan of the campground setting and the wildlife. What was the initial spark for this story? How did you come up with the mystery aspect? Thank you, Debbi! Cooper and Packrat are near and dear to my heart. Nature geeks, like me. But this book’s journey didn’t begin with them. One really rainy spring back in 1997, campers reported the loons were trying to push the nest back, out of the rising lake water, but to no avail. Their eggs were lost. My heart broke as I listened to the pair wail that day. A couple weeks later, campers happily reported the loons had gone on to re-nest. I didn’t even know this was possible! Two healthy chicks were raised that year. 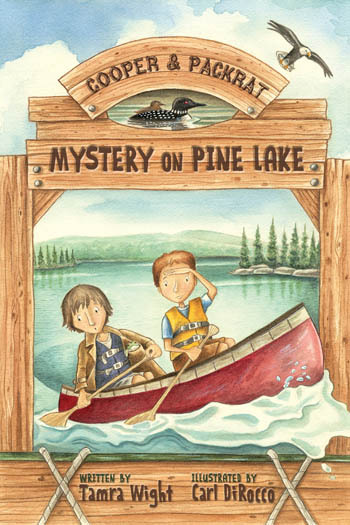 The whole experience stuck with me, and I spent the winter writing a picture book based on it, in which a little girl and her grandmother help the loons re-nest on their lake. It came close to selling several times over the next few years, but I heard over and over how quiet it was and how the story was bigger than a picture book format. So I tucked it in the back of a drawer. Fast forward to 2006, when I’d been trying my hand at writing middle grade novels for a couple years. I pulled out the picture book, dusted it off and tried to think of ways to take the basic storyline from quiet to exciting. I went from a girl character to a boy, just to help me transition from one storyline to another. I used a campground setting, because it would be unique and could give Cooper many interesting friends and characters to work with. I wanted a mystery as well, because I knew it would add tension and conflict, but what kind of mystery? And then I overheard a conversation in a restaurant where the speaker was grumbling about the loons on their lake. To think someone wouldn’t like the loons! It had never occured to me and was an “ah-ha” moment. As you know, I’m a big fan of birds. I don’t know much about loons and only saw my first one this past winter after we moved to New England. You share interesting facts about loons at the start of each chapter. Tell me about your experience with these birds. How much research did you have to do for this book? I was 29 years old before I saw a loon; when I moved to Maine in 1992 to begin my new life as a campground owner. Their call fascinated me. To this day, it can pull me lakeside. I began to research them, and became obsessed with catching a glimpse every time I could get myself down by, or on, the lake. I saw their nest flood. I watched as they turned their eggs, switched places on the nest to keep the eggs protected and warm, carried their chicks on their backs and taught them to fly. I started with binoculars, but now I document what I see each year with my large lens and post updates on my blog so everyone can see what a wondrous creature a loon is. I didn’t set out to make Cooper and Packrat a “learning book”. But when I shared chapters of it in my classroom, I found students were curious and wanted to know more about loons. They asked questions like, how far can they dive? Can they really see underwater? Where do they go in the winter? That’s how I hit on the idea of starting each chapter with an interesting fact. In addition to what I’d seen first hand, I also researched through books such as Loon Magic by Tom Klein and Loon Song by Paul Strong. I read the Maine Audubon Loon Project and New Hampshire’s Loon Preservation pages on-line. And I watched Larry’s Loon Cam to get a feel for a real, on-the-lake loon raft. Re-reading that last paragraph, it all sounds like hard work, but it wasn’t. I love to research! Like Cooper and his family, you run a campground. What’s the best part about it? What’s the most challenging part? Any funny stories to share? Challenging things? The long work days. Only having seven full days off between May and October. Not being able to camp ourselves. And of course, grumbly campers! 😉 Luckily, there’s not too many of those. But there ARE so very many cool things about running a campground! My family and I meet interesting people from all over the world. It’s like having 100 families as company every weekend. Dave and I work side by side, from home and office, with our kids underfoot. Then as my son, Ben and daughter, Alex grew, they began working with us. It really is a family business. I must say I enjoy my young campers the most! They are so full of wonder. They bring me interesting things all the time, like the dripping fish they’ve just caught, a flower they want to know the name of, turtles, frogs, salamanders, and once, what we think was the jaw bone of a young deer. One of my favorite campground-owner stories to tell is from our early years of living in the campground, before we were wicked busy. A gentleman who’d been working for us for three years or so, was grumbling good-naturedly one day about never having seen a moose. So he asked for some time off, threw his overnight bag and camera in his car, asked us to watch his trailer and he drove north to Rangely to search for one. Two mornings later, a moose walked right down our main street and literally through his campsite. We took photos of the hoof prints under his camper window as proof. Tamra Wight lives in Poland, Maine where she runs Poland Spring Campground with her husband and two children. Every summer she meets interesting families from all over the country. In the winter, she’s a teaching assistant at Whittier Middle School. Between the two, she has more writing inspiration than she knows what to do with. She is also the author of The Three Grumpies, illustrated by Ross Collins. Tamra also enjoys hiking, geo-caching, snowshoeing, power-walking, wildlife watching, and most of these with her faithful lab, Cookie. You can also see her wildlife photos on her website. For more about Tamra and her books, check out her web site and blog and find her on Facebook. You can also check out her campground website. 1. Comment on this post, and for fun, tell me your favorite camping story! I’m not much of a camper at all, but I do recall camping on the coast of California as a young adult. The rocks poking my back and strange noises kept me awake. Plus I was worried about bears or having to go to the restroom in the middle of the night by myself. (Yes yes, I’m a city girl – you’d never guess that I was an outdoor educator for awhile.) But I will never ever forget the spectacular sight of all the many stars twinkling and shining in the night sky. That was breathtaking! 2. Leave your comment and email address by midnight EST Friday, August 23rd. The lucky winner will be drawn at random and announced here on Tuesday, August 27th. 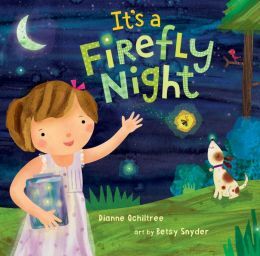 Thank you to everyone who stopped by to help shine the spotlight on Dianne Ochiltree and her newest picture book It’s A Firefly Night! Nancy or Njsanti3! Please email me at just kid ink at yahoo dot com (no spaces) and give me your mailing address so I can share it with Dianne. She will then send you your prize! Thanks to everyone for playing! Be sure to stop back soon for the next fun interview and give-away! Welcome to the Spotlight: Dianne Ochiltree and It’s A Firefly Night! I’d like to welcome back Dianne Ochiltree to the Spotlight. Today I’m featuring her newest picture book, It’s a Firefly Night. Stay tuned (below) for a chance to win a signed copy of this delightful book! A fun story about a little girl who loves fireflies. With lush poetic lines paired with cheerful illustrations, it’s easy to get caught up in the excitement of a firefly night! At the end are facts about fireflies. A great book for summer bedtime reading, and for anytime, really! Welcome back to the Spotlight and congratulations on your newest picture book. I love fireflies! In fact, I never saw one until I was an adult and after I moved from California. How did you come up with the idea for this story? It was sparked as I was sorting through old photographs for a scrapbook. I had found a faded Kodachrome image of my father and my tiny childhood self sitting on the front stoop of our old house, at sunset, on the Fourth of July—I know these details only because my mother, the family historian, dutifully noted them in the photo margins. Memories of those summer nights spent catching fireflies with my father immediately came to mind. I loved that special one-on-one time with my Daddy, and the little-girl adventure of staying up past bedtime to chase something as magical as fireflies…in night gown and bare feet, no less! While that special parent-child bond is the glue that holds the story together, I also wanted to help today’s kids become more aware and connected with the natural world through my main character’s actions: chasing, capturing, counting and releasing the fireflies she finds in her yard. There are even fun firefly facts at the back of the book for grownups to share with their little ones after reading the story together. The story is written in poetic form. How difficult is that? How many drafts did you write before you felt it was ready to submit? Oh my goodness, it’s not so much a question of how difficult it is to write in rhyme but how compelled you are to do it. I happen to enjoy the creative challenge and don’t mind the extra steps that I need to take. The process is simple: my first drafts are basically written in prose. This allows me to work out the plot line, characterization, setting, and the mathematical element (like counting 1-10) without the added distraction of making it rhyme. Once I know everything else is working reasonably well, I can start on the rhythm and rhyme. I will have a huge manuscript with plenty of raw material to work with—far more, I believe, than I would have had if I’d worried about what rhymes with ‘orange’ from the get-go. In other words, worrying about making the lines rhyme from the beginning would have narrowed my choices and distracted me from creating a solid story. So I take my huge, wordy manuscript (“Write BIG” is my motto) and play around with a rhyme scheme and rhythm until I find one that feels right. I keep whittling down to essentials, to the best images and wordplay. It takes at least twenty drafts to get anywhere. Love the illustrations. Do you get to communicate with the illustrator? When do you get to see the illustrations? Tell me your favorite firefly night story! While lots of fun times were had as I chased fireflies with our own kids, when we were lucky enough to live somewhere with a firefly population, I guess my favorite would be a story from my adulthood after the children were grown. It happened the first night we spent in our house in Dingmans Ferry, Pennsylvania. Located just outside the Delaware Water Gap National Recreation Area, it was the most rural place I’ve ever lived before or since. My husband and I were exhausted after a long day and a late dinner on the grill. We sat in our lawn chairs as the stars blinked in the sky above—I’d forgotten stars could be that bright without light pollution—and all of a sudden, noticed the little ‘stars’ winking in the grass around us. The fireflies danced in circular patterns, floating above our lawn, flashing what I took as a ‘welcome home’ greeting. But I realized it was more than that: their glowing presence was a gentle reminder that even for grownups, if you take the time to notice, a summer night can still bring magic to your heart. 1. Comment on this post, and for fun, tell me if you have a favorite memory of fireflies (or any other creepy crawly story). I’ve only seen fireflies twice in my life and both times as an adult. Just a couple of weeks ago, a friend from California was visiting and we were sitting on the screened porch at night. We saw twinkling in the yard – and they were fireflies! It was her first time ever seeing fireflies! 2. Leave your comment and email address by midnight EST Friday, August 9th. The lucky winner will be drawn at random and announced here on Tuesday, August 13th.